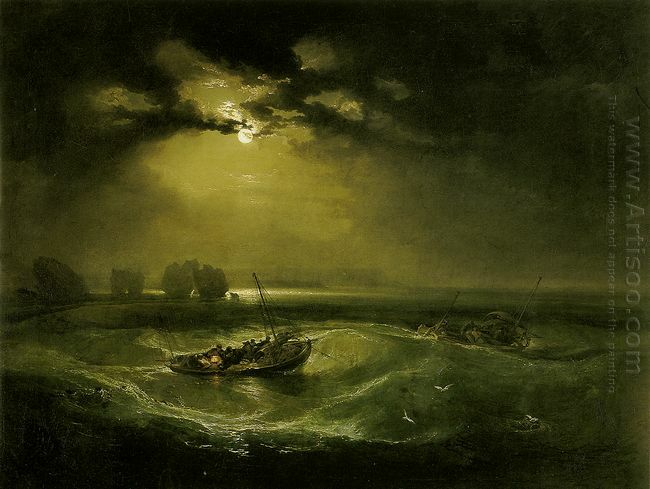 From Nov. 11, 2013 to April 21, 2014, the National Maritime Museum will hold the exhibition of the works of Joseph Mallord William Turner, in memory of this great sea sight painter. Turner came from a country with a long maritime tradition. For all his life, he was especially keen on the ocean, and nearly half of his works are about seascapes. Turner is one of the most famous British painters with best skills, as well as the representative of the British academic painters in the 19th century. Turner’s art career crossed half a century, during which he created various sea scenes. In a result, he is one of the greatest seascape painters. Therefore, Turner grew great interest on seascape. Rather than imitating the works of former masters, he tried to explore the sea from different aspects. “The sea changes a lot. Sometimes are calm and tranquil, while sometimes are roaring with waves”, said Ryding. In the Gallery hall hangs the Fishermen at Sea, the first oil painting work of Turner displayed in public. It was completed in 1796, depicting the fishing boats at sea in the moonlight. The moon and the water near the boats are the brightest part of the painting, showing the young painter’s ability to handle the theme. The Trafalgar battle between Britain and France broke out on Oct. 21, 1805, in which Nelson led the British Royal Navy defeating Napoleon. It was one of the most important events happened in Turner’s life. 19 years later, Tuner painted his biggest painting to commemorate this event. This work has a lot of symbolism. The fallen mast of the battleship “victory” implying the death of Nelson, the British hero, and British sailors are rescuing drowning of their won and the enemy. For example, when some young artists showed up in the 1820s. Turner started trying to represent the sea by more lively and rich color, such as the Passenger on Board created in his middle period. 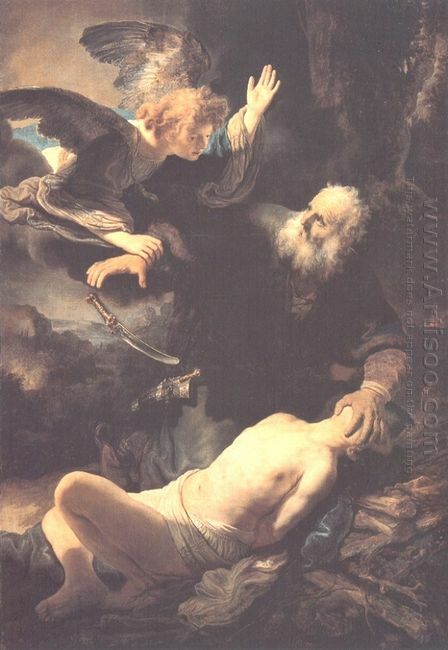 In Tuner’s works, we can see the influence on him by other painters. For example, the Snow Storm-Steam Boat off a Harbor’s Mouth looks quite abstract of modern style, completely different from people’s understanding of seascapes at that time. Ryding said: “If you notice the cold color of the painting, dark brown, blue, green and white, you will remind of Dutch paintings of 17th century.” More preciously, the exhibition displays some rear unfinished works of Turner, revealing his painting process. All of these works are precious legacies left by Turner. For the sea, Turner had shown his exploring spirit towards different performance forms for subsequent painter. The Coronation of Napoleon is a famous painting completed by Jacques Louis David in 1807. It was commissioned by Napoleon in September 1804 to show political and symbolic purpose. Jacques Louis David started work on it in 1805 and took two years to finish it. Its official title is Consecration of the Emperor Napoleon I and Coronation of the Empress Josephine in the Cathedral of Notre-Dame de Paris on 2 December 1804. The history painting is huge and imposing, with ten meters wide and about six meters tall. There are over 150 characters in the painting, royal family, ministers, generals, officials, big shops, and ambassadors, all vividly showed. All of the eyes are gathered to the center of the painting, where stands Napoleon, holding a crown in his hands, who is about to crown his Empress. Empress Josephine is kneeling below the stairs before Napoleon. She is going to receive the crown from his husband, rather than the pope. Napoleon and his wife dress in exquisite red robe with silk, demonstrating their great glory. The pope, who is supposed to crown the emperor, is sitting in the back. On the ages when camera has not been invented, Jacques Louis David used his skillful painting technique vividly reshow the splendor coronation to the rest of us. This Coronation of Napoleon is a great realism work, though David combined accuracy with artistry treatment. David initially painted the scene Napoleon crowned himself, as he really did in the history. However, conventionally, it’s pope’s power to crown for emperor. 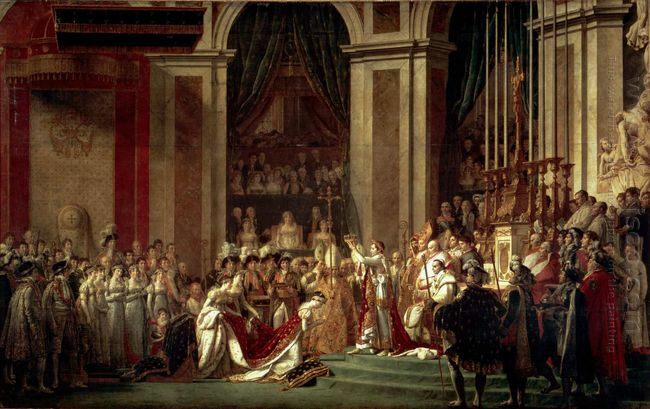 For fear of being regarded to contempt the pope, David made the final painting to show Napoleon crowning the Empress. Under David’s polish Napoleon’s and Josephine’s images are beautified, being taller and slimmer. He also painted Napoleon’s mother in the painting, sitting on an important place on the second floor. However, in the history, she was absent in the ceremony. She refused to attend out of rage for the friction of Napoleon with his brothers.